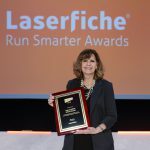 Laserfiche announced today that Coflex S.A. de C.V and HB Specialty Foods have won Laserfiche Run Smarter® Awards for influential compliance initiatives. Coflex S.A. de C.V: Based in Mexico, Coflex S.A. de C.V depends on interdepartmental collaboration to manufacture innovative, quality products for the plumbing industry. 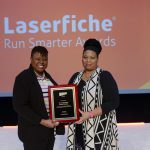 The organization transformed its engineering change request process with Laserfiche, enabling employees to more easily communicate in real time while promoting transparency, accountability and compliance. HB Specialty Foods: As a premier ingredient supplier to many of the world’s largest food companies, HB Specialty Foods must adhere to a number of laws and regulations including those by the FDA and USDA. 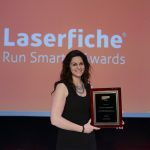 The organization uses Laserfiche Forms to simplify audits and stores all specifications for raw materials and finished goods in a central, searchable repository.